Beat The Dealer. 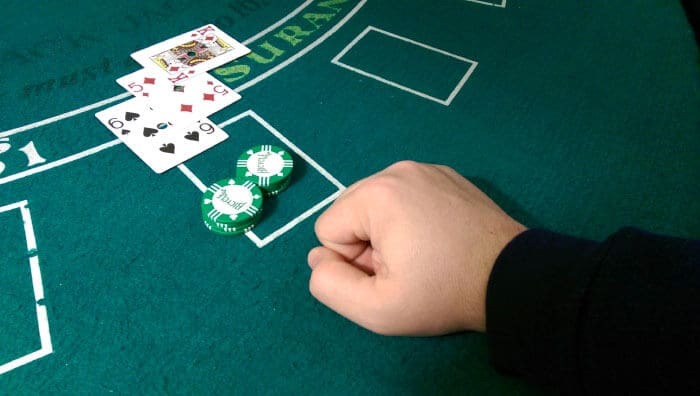 There are some misconceptions about the objective of the game of blackjack but at the simplest level all you are trying to do is beat the dealer. How do you beat the dealer? By the dealer drawing a hand value that goes over 21. By drawing a hand value of 21 on your first two cards, when the dealer does not. How do you lose to the dealer? Your hand value exceeds 21. It’s also important to note, the other players’ hands at the table have nothing to do with winning the game of Blackjack like they do in Poker games. For all practical purposes, it’s just you against the dealer. Unskilled patrons of the game will try to convince you “it’s a team sport” but don’t be fooled. How Do You Find a Hand’s Total Value? Blackjack is played with a conventional deck of 52 playing cards and suits don’t matter. 2 through 10 count at face value, i.e. a 2 counts as two, a 9 counts as nine. Face cards (J,Q,K) count as 10. Ace can count as a 1 or an 11 depending on which value helps the hand the most. 2-9 count at face value, tens and face cards count as 10, and Aces count as 1 or 11. 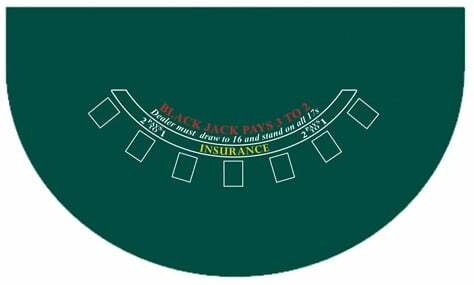 Blackjack is usually played on a semicircular table that can accommodate varying numbers of players. The most common tables accommodate 7 players (or seven “spots”) but we’ve seen tables that only allow 5 players and other tables that have 12 spots! The dealer stands behind the table and chip rack and the players sit on the other side. The dealer will arrange your buy-in on the felt so the cameras can clearly see the amount. This is what buying in for $1000 looks like. Before you can play at the table you need chips. Most casinos will not allow “cash plays” wagers anymore, so you will have to let the dealer exchange your money for casino chips. You do this by simply walking up to the table a placing your money on the felt of the table. Do not hand your money to the dealer (they won’t take it). For security reasons dealers cannot take anything out of a player’s hand or vice versa. Once you lay your money on the felt the dealer will lay it out on the table for the cameras to clearly see how much it is and a pit boss will come over and verify the amount. The dealer will count out chip denominations equal to the amount you’ve bought in for and push the chips toward you. You are now free to handle the chips and place your wager. The dealer will arrange your buy-in on the felt so the cameras can clearly see the amount. This is what buying in for $1000 looks like. At the start of a round the first thing you do is place a bet in the betting circle (sometimes it’s a square, or just a casino logo on the felt where your bet goes). The table will have a small sign on the far right or left side of the table telling you what the betting limits are. 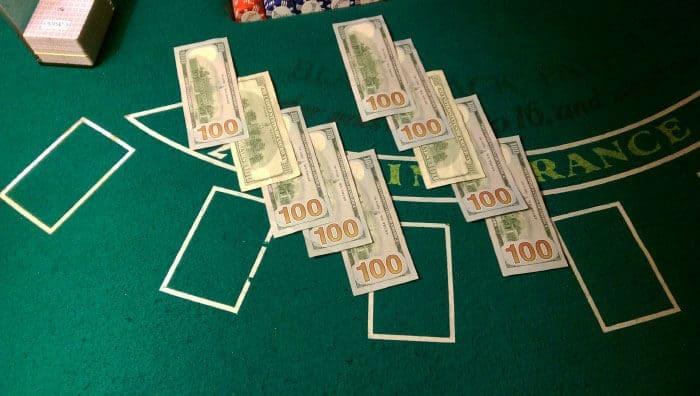 Most tables in the US will require a minimum of at least $5 per hand, but the minimum and maximum bet you can make will be different depending on what casino you go to and the regulatory environment where the casino is located. After you place your bet the dealer will deal clockwise, one card, face up, to each player at the table and then one card face down for herself. Then she will deal one more card face up to each player and one more card for herself, face up. Each player has 2 cards, face up, in front of them, but the dealer has one card face up and one face down. It should look something like the picture below. Now it’s time to play the game! Double Down – If you have a hand total that is advantageous to you but you need to take an additional card you can double your initial wager and the dealer will deal you only 1 additional card. [Hand signal: Just put up a wager, equal to your initial wager, on the left side of your original bet and the dealer will give you one additional card, turned sideways to indicate you may not take additional cards.] Note: most casinos will also allow you to “double for less” meaning you don’t have to put up an equal wager to your original wager. However, mathematically speaking there is never a time when doubling for less is a better decision than doubling for the full amount, so we would discourage “doubling for less” even if the casino will let you. Based on what the dealer is showing, and what you have in your hand, you make the choice that follows basic strategy. Basic strategy is the mathematically optimal way to play for every combination of player hand and dealer up-card. It was created by a computer that played millions of rounds of blackjack and determined the best way to play each hand combination based on what worked out best for the player most often. If you follow basic strategy it takes the guesswork out of the decision! Phew! When you follow basic strategy and play your hand by using one of the 5 options listed above, one of 3 things will happen. You Stood Immediately – You were dealt a hand that basic strategy says you should not take any cards on. You made a hand – You took more cards (hit, double or split) and achieved a hand total of 21 or less and did not bust. Your hand is out of play – You hit your hand one or more times and “busted” or you chose to surrender your hand. If your hand busts you immediately lose your wager. This is why the casino has an edge on the game. The player must act first, so that even if the dealer eventually busts like you did, they still keep your money because you busted first. If your hand hasn’t busted, and you didn’t surrender, then it’s time for the dealer to play their hand. The dealer will first flip over their “hole card” (the face down card) and add up their 2-card hand. If the dealer has a hand total of 17 or higher, they will automatically stand. If the dealer has a hand total of 16 or lower, they will take additional hit-cards. 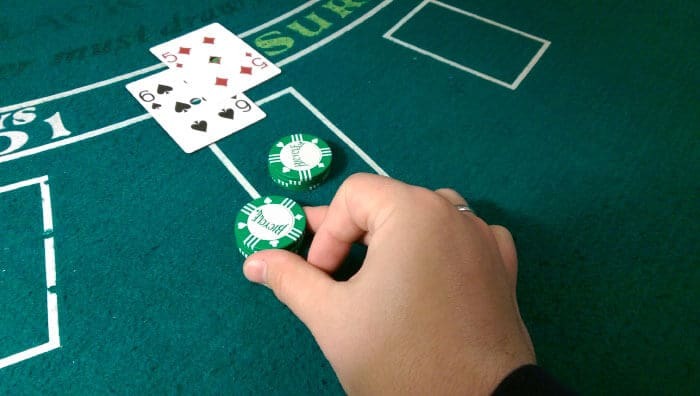 Doubling, splitting and surrender are not available to the dealer and the dealer does not have any choice with how they play their hand like the player does. The Dealer must play their hand the same way every time. The only exception is when the dealer has a 17 that consists of an Ace and a six. This is called a “soft 17” and, depending on the casino, this hand is sometimes hit by the dealer because it can also count as a 7 (due to the flexible value of an ace), giving the dealer more chances to get a better hand than 17. This gives the casino a bigger advantage than if the dealer stands on ALL 17s. Whether or not the dealer will hit a soft 17 will usually be prominently displayed, in text on the the felt, so you know how to expect the dealer to play their hand. Again, dealers do not have the option to deviate from the rules set by the casino. Ok so you’re done playing your hand and the dealer is done playing their hand according to the restrictions above. One of 2 things will happen. The dealer will make a hand (17 through 21). If your hand is still in play, it’s a simple battle of who has the higher hand. If the dealer has the higher hand, they sweep your bet. If you have the higher hand, the dealer pays you one times your wager. If you and the dealer have the same hand-total, it’s considered a “push” and you keep your money but are not paid on your wager. Now the round is over! That’s all there is to it. The cards get swept up and you start another round. There are a couple situations where a game of Blackjack will deviate from the procedures outlined above. Insurance/Even Money: Insurance is a side bet offered when the dealer has an Ace as an up-card. Before anyone plays their hands the dealer will offer insurance (or even money if you have a Blackjack). You can put up a wager equal to half your original wager or less, which will get paid 2 to 1 if the dealer has a ten as their hole card. So, put simply, you’re betting on whether or not the dealer has a blackjack. If you win, you get paid 2 to 1. As a basic strategy player you should always say no to insurance and even money. Only a card counter is skilled enough to play this side bet. 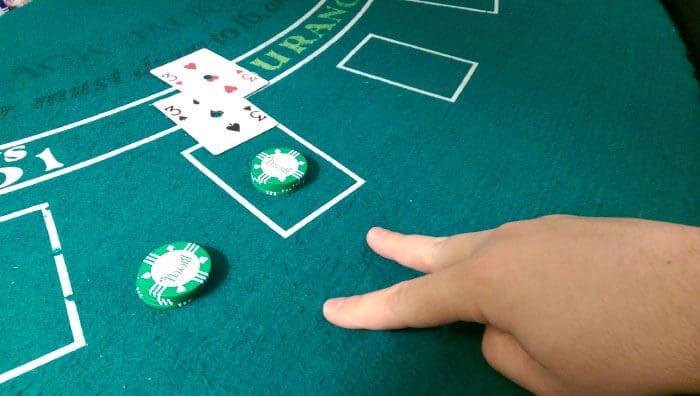 Once all the players who want to buy insurance place their bets, the dealer will check her hole card (using a special viewing window in the table). If they have a ten underneath, the dealer got a Blackjack, and will take everyone’s original wager. Anyone who bought insurance will get paid 2 to 1 on their insurance wager. 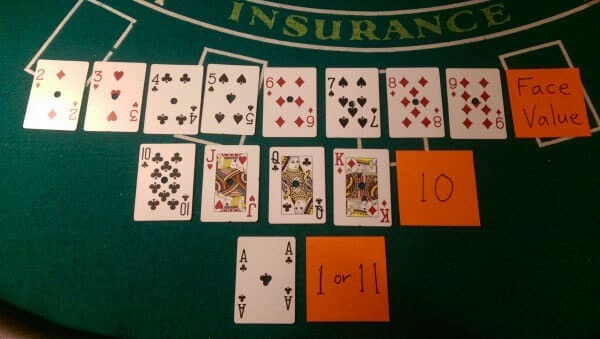 If the dealer does not have a ten underneath, she will take any insurance wagers that were made and the game will continue like it normally would. If you hold a blackjack while the dealer has an ace showing, you will be offered “even money.” Don’t be fooled! This is just another name for what is mathematically the same as insurance. If you take even money, your blackjack will not get paid 3 to 2 like it normally would. It will just get one times the original wager (even money) regardless of whether or not the dealer has a blackjack. If you do not take even money and the dealer has a blackjack your wager will push and your blackjack will not get paid. If you don’t take even money and the dealer does not have a blackjack you will be paid 3 to 2 like you normally would. Again, you should never take even money if you are not a professional card counter. To better understand the difference (or lack thereof) between insurance and even money watch this video from our premium video course: The Truth about Insurance. 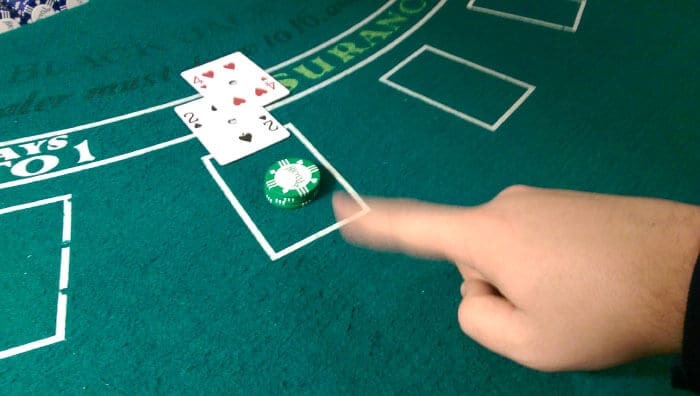 Non-Insurable Dealer Blackjack: It is possible for the dealer to have a blackjack without offering insurance or even money. If the dealer is showing a ten up, they will check their hole card automatically, before anyone is allowed to play their hands. If there is an ace underneath, the dealer has a blackjack and all bets on the table will be taken except for any player blackjacks, which would just push. Insurance is only offered when the dealer is showing an ace. Dead hand: If all players at the table bust before the dealer plays their hand, it’s considered a “dead hand” and the dealer will flip over her hole card (so the cameras can see it) and then sweep the cards up and put them in the discard tray. There is no reason to play the dealer’s hand and waste cards because the dealer has already beaten the player(s). Side bets: In the last 2 decades or so, Blackjack side bets have become popular. 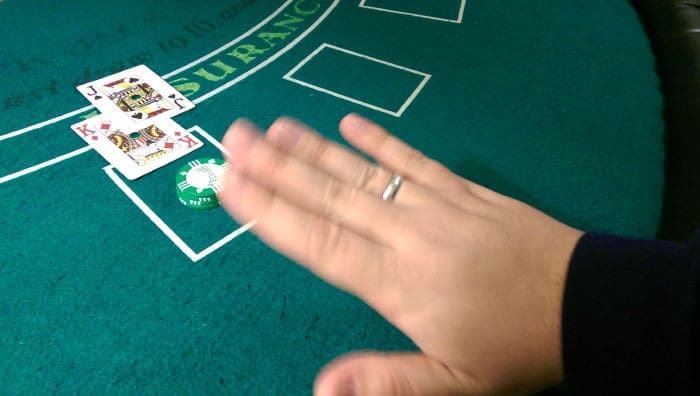 Insurance is the only side bet that is universally offered on all Blackjack tables and is a big part of beating the game for a card counter. But there are hundreds of other kinds of side bets on the felts these days. Most of them will require you to place a bet at the same time you place your main wager. You can be betting on getting a pair as your first two cards, betting on if the dealer’s cards will match yours, betting on your hand making a poker hand with the dealer’s up-card, betting on whether or not the dealer with bust, etc. These side bets are everywhere and have various different procedures and pay tables so we will not explain them here. Just know that they are not part of the game of Blackjack itself but may affect the normal dealing procedure of the game. We never recommend playing these side bets. Casinos only offer them because they have a huge advantage over you. Don’t be a sucker and learn how to count cards instead. 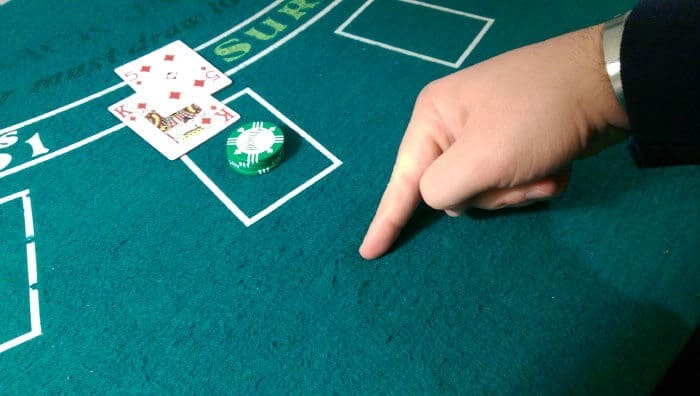 There are many different rule variations and conditions that can affect how the game of Blackjack is played. In other words, not all blackjack games are created equal, in terms of the odds and favorability to the player. Here is an overview of some of the rules that will affect the odds of the game. Doubling After Splitting (DAS): This simply means you can double down on a hand you just split. Some casinos will allow you to double after splitting and some don’t. Most casinos do allow this rule and it IS advantageous to the player. Re-Splitting Aces (RSA): Some casinos allow the player to re-split their aces after they have already split a pair of aces, meaning if you just split a pair of aces and received another ace as the next card, you are allowed to split to a 3rd hand up to a total of 4 hands. The ace is the most powerful card for the player so it is a very advantageous rule for the player if the casino allows RSA. Typically speaking, even if the casino offers RSA, you are still only allowed to take one card on each ace. You can’t double after splitting an ace and you can’t take additional cards. This is because the casinos know the Ace is the most powerful card and they are trying to limit situations where the player has an advantage. Early Surrender: This is a dead rule that hasn’t been in casinos in the United States since the 70s. It is the same as the usual “surrender” rule only you can surrender before the dealer checks for a blackjack or offers insurance. When it was still around it was highly favorable to the player, to the point where a perfect basic strategy player could have a small edge, without counting cards. It went extinct for that reason. Early surrender is also the reason why some perfectionists will call the common surrender rule by its proper name, “late surrender” to distinguish it from its counterpart. 6 to 5 Blackjacks: Some casinos that offer blackjack will reduce the 3 to 2 payout for Blackjacks down to only 6 to 5. This increases the house edge and takes more money out of people’s pockets. It also makes card counting basically useless. Even casinos that have this rule may not have it at every table. Be sure to read the rules on the felt before you sit down. 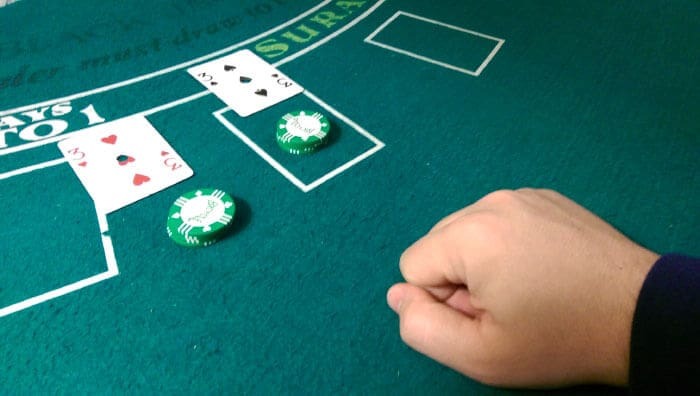 CSM Blackjack: Some casinos use Continuous Shuffling Machines on their blackjack tables. This is a machine that continually shuffles the cards as they are being played. Instead of putting the cards in the discard tray until the end of the shoe, the dealer will continually feed the machine all the used cards and there is never an end to the shoe. This also makes card counting impossible and worsens the odds for a basic strategy player. Single Deck versus Multi-deck: All else being equal, the house edge on Blackjack gets higher for every deck you add to the game. As a rule of thumb, a 6 deck game will have a higher house edge than a 2 deck game if all other conditions are equal. The problem is, all the other conditions are rarely equal. Often times a single deck game will not allow doubling after splitting or re-splitting aces and will have 6 to 5 blackjacks, whereas an 8 deck game in the same casino might allow DAS, RSA, and have 3:2 Blackjacks and end up with a lower house edge. There are many trade-offs when it comes to the rules and number of decks. Deck/Shoe Penetration (PEN): This refers to the percentage of the cards that are actually dealt out over the course of a shoe. Usually the there is a cut card inserted in the shoe toward the back of the cards to be dealt. When the cut card is dealt out in the course of the game, it signals to the dealer that the shoe is running out of cards and the dealer will shuffle the cards and start a new shoe. While a quarter deck of cards is plenty sufficient to finish a round of Blackjack, most casinos will cut off much more than that (several decks) to limit the profitability of the game for a card counter. For a card counter, the depth of penetration can make or break a blackjack game. Super Fun 21: This is usually pretending to be a single-deck blackjack game where you can surrender on any number of cards, you can double on any number of cards, and you can get paid automatically if you have a 6 card 20 or a 5 card 21 and a player blackjack always wins money! It sounds like a dream. The only problem is that blackjacks only pay even money (except for diamond suited blackjacks). That one change to how blackjacks get paid erases all the benefit of the “super fun” rules they give you and makes the house edge almost 3 times worse than regular blackjack. This game is not Blackjack. Stay away! Spanish 21: This game is very popular in many parts of the country. 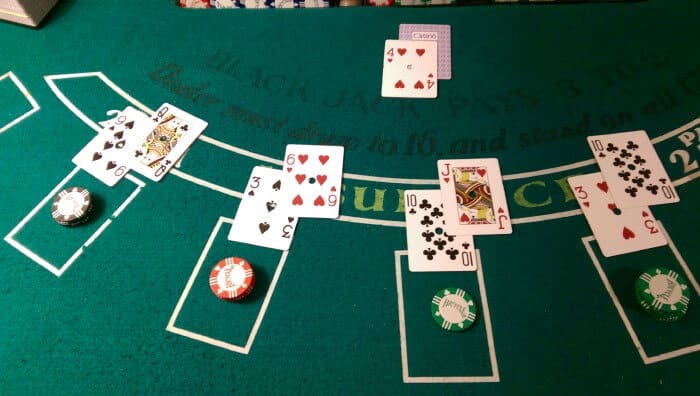 Many of the same rules as above are also present in this game but blackjacks still pay 3 to 2 and you can re-double (double down twice on the same hand). That sounds awesome right!? WRONG! They remove all the 10s from the shoe (the face cards are still in there but no ten cards). If you know anything about counting cards, you know the ten-value cards and aces are the most valuable cards for the player. Removing all the tens from the deck erases all the awesome you get from the better rules. It also has a more complicated basic strategy than conventional blackjack so most people do not play correctly and thus most people are playing at a much bigger disadvantage than what the game insert would print about the game. The casinos love Spanish 21 players. This game is not Blackjack. STAY AWAY! Free Bet Blackjack: In this game you play just like Blackjack but instead of supplying your own money to double down and split, the casino will let you do it for free but still pay you as if you had wagered the money. Sounds too good to be true right? It is! In exchange for the free roll, if the dealer goes over 21 with a hand total of 22, then all bets push (even though the dealer busted). BARF! This doubles the house edge of normal Blackjack. This is not Blackjack. Stay away! Blackjack Switch: This game is a little different. You start with 2 hands of blackjack and you can choose to switch the top cards of each hand if you think it will make you a better set of two hands. Any of us who have played blackjack a long time wish we could do that sometimes so this sounds like it could really save your hands right? NOPE! Just like Free Bet Blackjack, the dealer pushes all bets if they get a 22 and player Blackjacks only pay even money. This is not Blackjack! No thank you! There are many more games masquerading as Blackjack that we haven’t mentioned here because it would take all day. Don’t be fooled and make sure you’re playing real blackjack before you sit down! Colin is the founder of Blackjack Apprenticeship. Colin has been counting cards for over 15 years, and ran a multi-million dollar blackjack team. 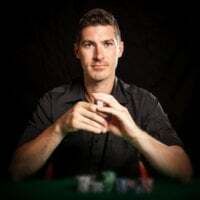 You may have seen his team featured in the documentary Holy Rollers: The True Story of Card Counting Christians, and has been covered by New York Times, CNN, and The Colbert Report. 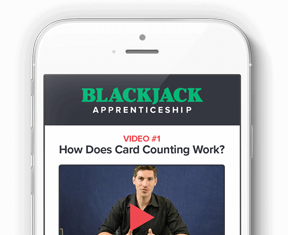 For more training from Colin, check out the Blackjack Apprenticeship YouTube Channel.